As the government invests billions of dollars in new reactor projects, residents of two towns debate the pros and cons of nuclear plants in their communities. Vermont Yankee, in Vernon, Vt., is on the verge of closing. Plant Vogtle, in Waynesboro, Ga., is building the first new reactors in the U.S. in almost 30 years. 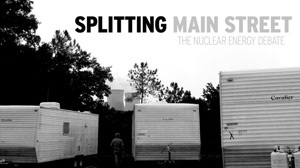 A range of opinions and issues, practical and emotional, exist in both towns, demonstrating the uncertainty that surrounds nuclear energy.